Rachel Elizabeth Osborne was born on 10 February 1867 in Maidstone, South Australia , daughter of John Ash Osborn and Elizabeth Paynter. 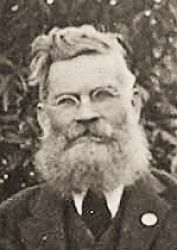 Richard John Osborne was born on 12 September 1868 in Maidstone, South Australia , son of John Ash Osborn and Elizabeth Paynter. James Thomas Osborne was born on 28 December 1870 in Kersbrook, South Australia , son of John Ash Osborn and Elizabeth Paynter. James Thomas Osborne was also known as "Osborn". It appears James dropped the "e" from the end of his surname sometime before he married. Edith Bertha Osborn was born on 16 June 1873 in Kersbrook, South Australia , daughter of John Ash Osborn and Elizabeth Paynter. Ethel May Osborne was born on 27 September 1878 in Kersbrook, South Australia , daughter of John Ash Osborn and Elizabeth Paynter. Isaac Robert Gray was born on 2 May 1856 in Payneham, South Australia , son of William (Dobbin) Gray and Charlotte Atkinson Fayers. He died in 1935, aged 78 years, in Pinnaroo, South Australia . Elizabeth Margaret Pearce was born on 12 September 1856 in Langhorne Creek, South Australia , daughter of Francis Pearce and Margaret Warne. 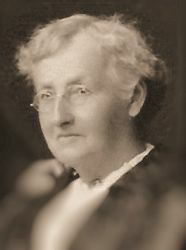 She died in 1928, aged 71 years, in Adelaide, South Australia . William Robert Gray was born on 26 September 1877 in Payneham, South Australia , son of Isaac Robert Gray and Elizabeth Margaret Pearce. Ballington Booth Gray was born on 27 June 1881 in Glynde, South Australia , son of Isaac Robert Gray and Elizabeth Margaret Pearce.